What a great way to celebrate the love of geometry and math. 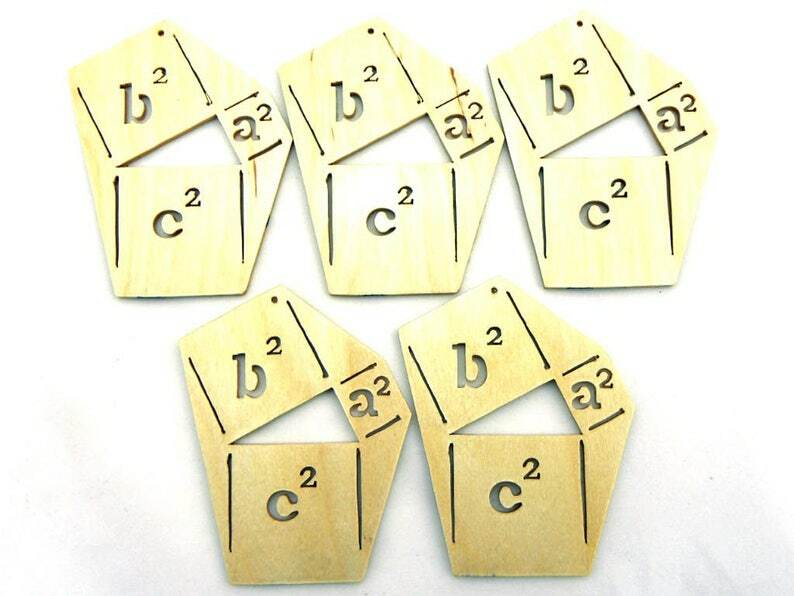 Perfect gift for mathematicians, engineers or teachers. Great statement cut out to use as an ornament or magnet. This woodcraft is one of a kind and ready to ship - have it in your hands in less than a week. Comes two ways – plain or with a magnet. Bruce and Penny worked with me to create a custom item, incredible customer service, communication and craftsmanship. fast shipping, highly recommend!